This article was first published by the Australian National University. View the original article. A science PhB graduate who has just completed Honours at the Research School of Physics and Engineering (RSPE) has won the prestigious Tillyard Prize for 2016. 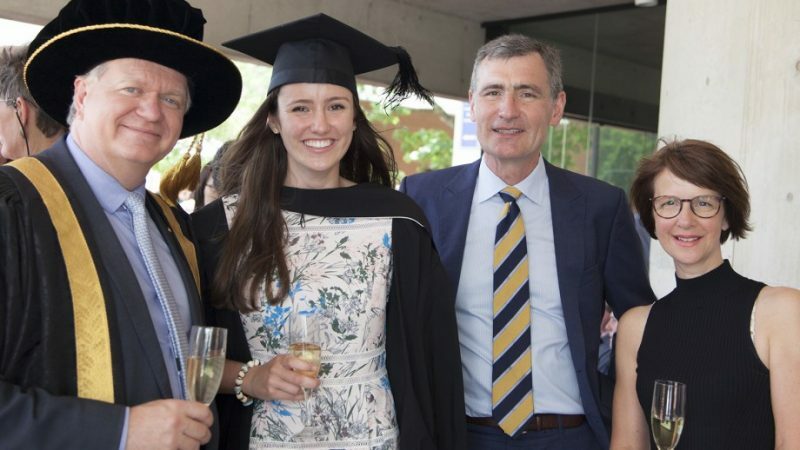 Siobhan Tobin was awarded the prize at her graduation ceremony on Tuesday 13 December as part of the celebrations for the Colleges of Science. Considered to be the oldest and most prestigious prize available to undergraduates, the Tillyard Prize is awarded each year to a graduating Honours student who has contributed to University life. During her studies she worked on the Australian Science Olympiad program as well as the learning support programs at the Black Mountain School. “The fact that Siobhan has been able to maintain these commitments, in addition to substantial involvement in the community life of RSPE, ANU and Bruce Hall, all while maintaining an excellent academic record, speaks volumes about her character, determination, intelligence and personal integrity,” said Physics Honours Convenor, Associate Professor James Sullivan. Siobhan has also been learning Auslan (Australian Sign Language) to help with her work with students at the Black Mountain School. She has also been doing courses in youth mental health first aid and suicide prevention, to support her role as a Senior Resident at Bruce Hall. Apart of an ANU fundraising team, Siobhan participated in the 50 kilometre Trek 4 Timor event. “That she had to be convinced to be put forward as a nominee for this award says much about her modesty and the motivations for her strong engagement with all communities she is involved in – she does not go looking for reward or prizes as a result of these commitments,” Associate Professor Sullivan said.